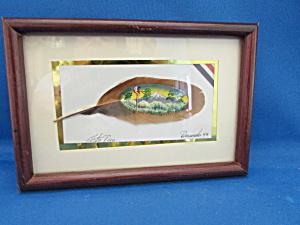 A great tropical scene painted on a feather from Lorta Puco. Frame is 4 1/2" X 3 1/4". Frame has a rubbing on frame, but otherwise in excellent condition.